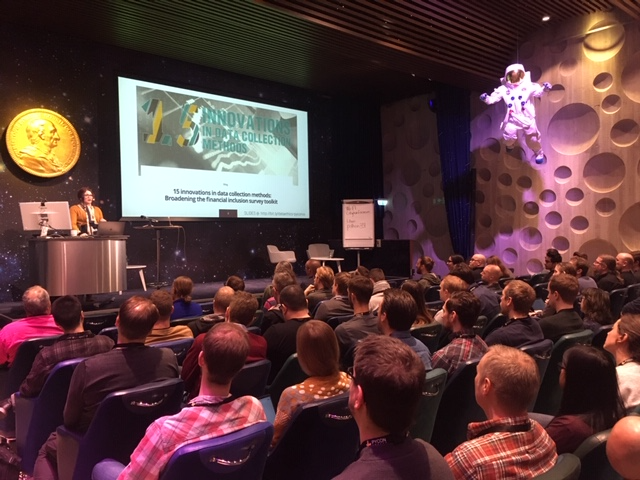 PyCon Sweden was held on December 12th and, as with previous years, delivered a great mix of technical talks and thought-inspiring keynotes. Around 200 Pythonistas assembled in central Stockholm at Ingenjörshuset for a full day of Pycon-themed talks. The day started with keynote intro by Lorena Mesa who, as part of the team who worked on the Obama presidential campaign, shared her background and experiences in being a first-adopter in using data to deliver an effective campaign. Lorena explored some of the concerns and challenges in using data in an ethical way and showcased some examples. In particular, Lorena reflected on how the "Zen on Python" mindset could be applied when approaching potentially ethically charged data science work. Essentially that "now is better than never" in deciding upon ethical boundaries and how data scientists have a responsibility to call out invalid data sets. You might also notice the space-themed conference hall complete with hanging astronaut! The next presentation was held by Diego Moreda Rodriguez who works within the IBM quantum computing research group which I found possibly one of the most interesting talks. 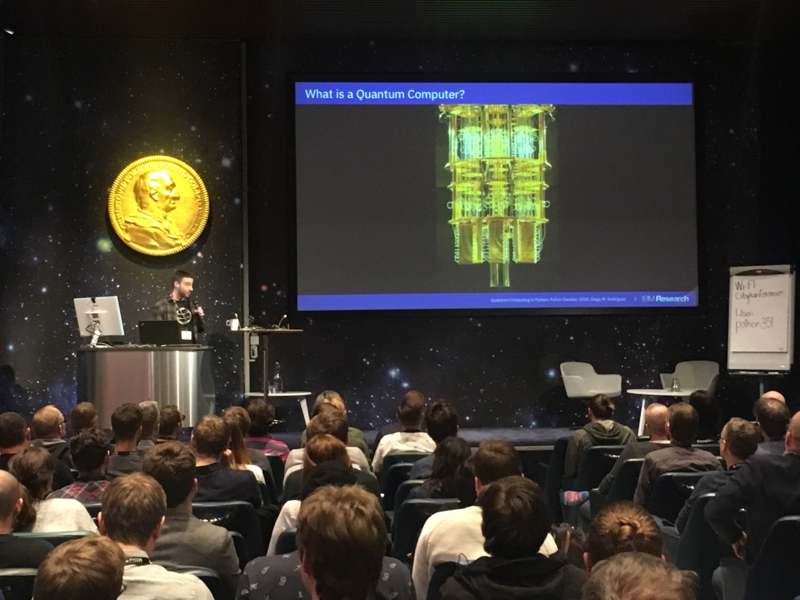 Diego shared some simple explanations of complex quantum theory and it was especially interesting to get some insights into the undiscovered and physics-challenging discoveries so far. There is something very exciting about technology that works and yet, is not fully understood. A slide showing a real and live IBM quantum research computer gave a sense of the major technology changes coming with quantum computing in the years ahead. Diego was primarily presenting QISKit - a framework that started life within the IBM research lab to enable data scientists to interact with the machines and has since grown into a public open-source framework. Essentially QISKit makes using quantum computing accessible to everyone. IBM provides both simulators and access to real quantum hardware through a queue system where QISKit-based software can be tested. After a short break, the next speakers offered up some real hands-on coding advice and some of the projects they were working on. 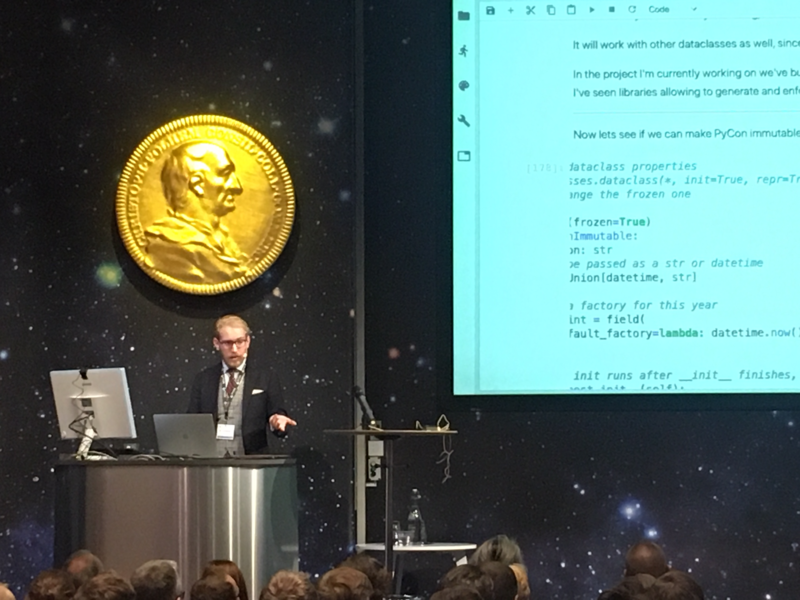 Alexander Hultnér explored the new @dataclass-decorator in Python 3.6 and some practical examples and tips of how he has been using it effectively. Alexander was also easily the best dressed man in the room! 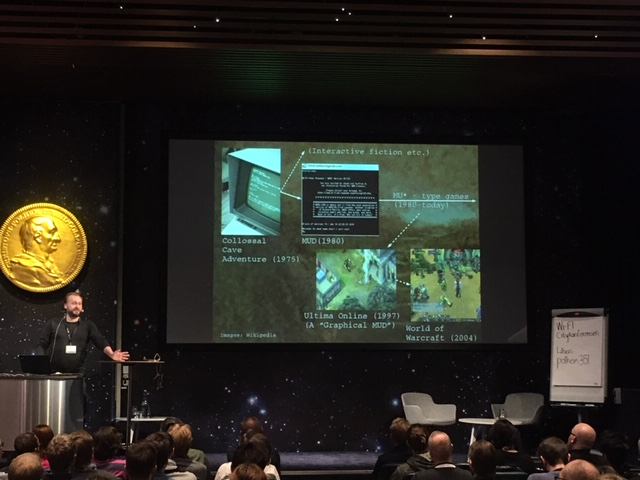 Samuel Regandell presented an introduction to the Evennia MUD engine which was a personal favourite having grown up in the days of Amigas and modems. Evennia is built using Python with a Django front-end. Samuel showed real-time class creation and put together a live demo to show how a game could be constructed. It was great to get a sense of Samuels passion for Evennia and how it had grown during the years with an active and comitted community of MUD players. After a lunch break and a chance to meet other attendees, the afternoon sessions kicked off with lightning talks - an opportunity for anyone to share any Python-themed topics of interest. The afternoon schedule was back-to-back with insightful and varied presentations. Eléonore Mayola presented her experiences in educating and equipping journalists to use data science to build and support articles and some Python basics for non-engineers. Åke Forslund explored ctypes - bridging Python and C data types to get the best of both. Åke shared his example code in his Github for future reference. Ross Taylor introduced Mantra, a new open-source Python library for working and managing deep learning projects. Mantra uses the familiar data-model-task pattern and applies to deep learning. It includes the ability to launch cloud instances on-demand and includes UI tools visualise the results. The day ended with a closing keynote by Adam Tornhill which touched upon a topic close to all developer-hearts - managing technical debt. Adam discussed the need to look at technical debt in a holistic way - from code to the organisation structure to support it. If you are juggling technical debt, Adams presentation gives new insights and offers up some practical advice and ways of modelling the cost - highly recommended viewing! 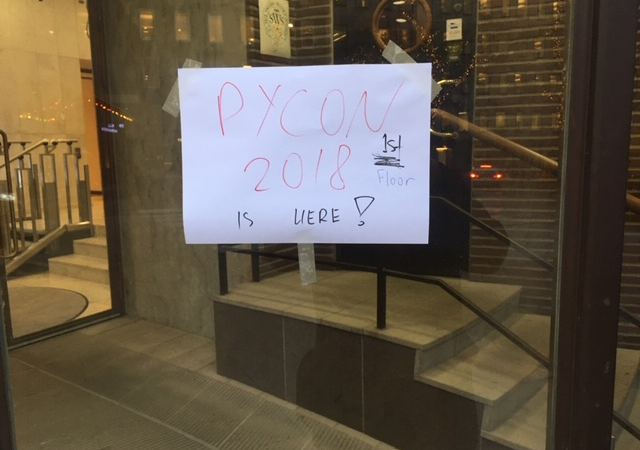 A big thank you to the team behind PyCon Sweden 2018 for such a well prepared and enjoyable event - see you in 2019!